Fighting the runaway corruption is the biggest task the National Resistance Movement (NRM) government has on its plate now, and it sounds good that President Yoweri Museveni has awoken to the reality albeit a bit late. Indeed, as Ugandans, we are all responsible for this corruption mess that has entangled the country, gnawing at the nerve centre of service delivery, with billions being lost to unscrupulous officials in public service. 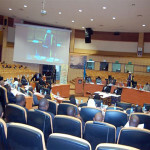 But that said, it is worth mention that there are people who must take the bulk of the blame for the runaway corruption and these include among others the President and his Cabinet; the Parliament; the Inspector General of Government (IGG); the Police and the Directorate of Public Prosecutions (DPP) and, the Judiciary. Over the years the above-mentioned institutions have paid lip-service to fighting corruption, and some like the Police and Judiciary have severally been cited in the IGG’s reports as being notoriously corrupt! 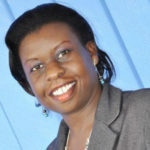 Interestingly, such reports by institutions like the IGG attracted lukewarm attention, and in most cases reported, the implicated officials walked away scot-free either due to officers intentionally botching investigations or carrying out none at all. It is against such a background that the corrupt public officials like Geoffrey Kazinda and the Ministry of Public Service incarcerated trio hijacked the established anti-corruption processes, and wracked havoc on the country’s coffers, almost bringing the country to its knees! 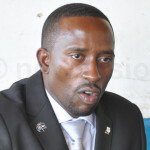 And it is this cumulative effect of corruption that has now drawn in the President to try and stoke the burning embers of corruption that have engulfed all public offices and officials, including the reported solicitation of a bribe by labour minister Herbert Kabafunzaki, and the two Ministry of Finance officials who were arrested last week for allegedly soliciting bribes from investors. But these arrests, much as they are good, beg the question: is using a ‘firefighting’ approach like the one used in Minister Kabafunzaki’s arrest effective in curbing corruption? The answer is a big NO! So, in order to avoid the obvious glitches that come with the ‘firefighting approach’ the government should re-vitalise all the anti-corruption institutions, and arm them with the appropriate tools and personnel to execute the set tasks. And by the way, what has happened to the case brought by the woman who was reportedly sexually harassed by the AYA Group Chairman Mohammad Aya? There is need for answers!